How Do I Get My Order Fast? Need your trophies and awards fast? Our flat rate shipping options will deliver your order between 5-7 business days, but if you need it faster we offer expedited shipping or TurboPartner service that can deliver in as fast as 2-4 business days. Our Expedited Shipping service delivers awards within 2-4 business days based on the option selected. We now include free 24 hour rush processing as a part of this service. Our innovative TurboPartner Service delivers orders within 3 business days and is designed to save you money, but is not available on all items. This service utilizes our extensive distribution network to deliver goods from a warehouse near you while sending you the name plates for your trophies separately for you to attach yourself. It's easy to do. Just peel the adhesive backing of the plate and stick on your award!!! 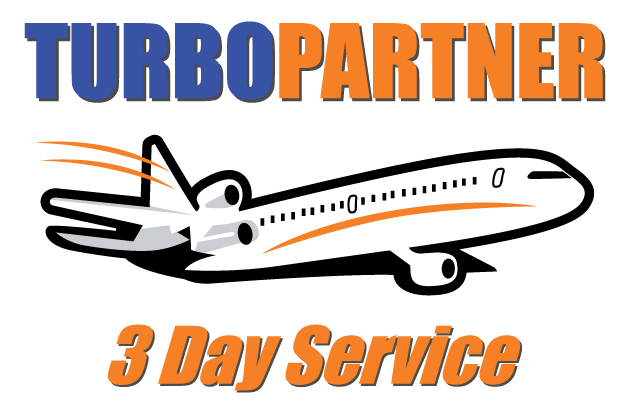 Look for our distinctive TurboPartner 3 Day Service graphic on the product page for availability. Processing for orders placed after 3 p.m. EST will begin the following business day. TurboPartner Service is not available on all items. Items that qualify have a "TurboPartner 3 Day Service" Graphic on the product page and will be noted in the "details" section. If any portion of your order contains a non TurboPartner item you will not be offered the TurboPartner shipping option at checkout. Delivery dates are for normal business days, Mondays through Fridays excluding weekends and the following holidays and vacation days: New Years Day, Martin Luther King's Day, Washington's Birthday, 2/22/18, 2/23/18, Memorial Day, 4th of July, Labor Day, Columbus Day, Veterans Day, Thanksgiving Day, the Day After Thanksgiving, Christmas Eve, Christmas Day, and New Years Eve. Orders received after 3pm EST Monday through Friday are considered processed the following business day. Orders that are submitted by Purchase Order or Check require payment prior to production so please allow additional time for receipt of your payment. We are not able to accept any 3rd Party Shipping Account Numbers. Orders shipped out of the United States have different shipping options may be subject to custom duties and fees which will be collected by the local government upon arrival. In the event there is any damage to your package and the contents during transit, TrophyPartner.com will replace them or the damaged parts, absolutely free. Requests must be received within 14 days of arrival. If you are not 100% satisfied with your purchase, please contact us and we will work with you to return it, exchange it, or credit it. Please see our returns policy for more details. We ship to all APO and FPO addresses by USPS Priority Mail Service. Each package is insured. Since delivery dates cannot be guaranteed we can not be held liable for delayed packages. Please allow 3 business days for order processing and approximately 10-20 transit days for delivery depending on your location. Custom Awards typically require 2 weeks to make before they are shipped. Shipping charges for our gold, silver, and bronze services are only available after entering your order into our shopping cart. Pricing is determined based on the weight of your order and distance from our location in North Carolina. All shipping options are based on the merchandise value of your order only and do not include logo fees, personalization charges, proofs, etc. Delays in arrival may occur when there is business closure or other unforeseen events such as incorrect address given during checkout, inclement weather delays, acts of God, or other natural or world events.